Discussion in 'Jacksonville Jaguars' started by La France Blanche, Sep 6, 2018. TE Ben Koyack and OL Sean Hickey are on injured reserve. QB Tanner Lee, LB Nick DeLuca, and OL KC McDermott are on the practice squad. Blake Bortles returns as the starting QB, to the butthurt of DWFs from all over northern Florida. Fullback Tommy Bohanon might sneak a carry here and there. The Jags should look at the 49ers Kyle Juszczyk to learn how to use a fullback properly. Rookie DL Taven Bryan is listed as a second-stringer. Cody Davis is an actual White defensive b(l)ack, although unfortunately it doesn't look like the Jaguars are going to grant him much playing time. Overall a very dark team. TE James O'Shaughnessy is listed on the 2-deep, and he caught 1 pass for 17 yds today. Some at this site have determined that O'Shaughnessy is non white, which is probably why he is not listed? Appears to be full-blooded or mostly Native American or, perhaps, he's just a really big Mexican. Considering he's from the mid-west and well into his 20's (before Mexican illegal immigration invaded the mid-west), I'd say he's most likely Native American. Yes, Truthteller I recall that as well. However, looking at his photo I’d say he’d pass the eye test to 95% plus of the population. If this was my write up, I’d count him. LFB, can use her discretion on this one. Yes, Freethinker, I saw the photo you posted via a google search. That was his lightest photo, most others he looked darker. But, heck, he could even be Southern European? Vinny Testaverde, Wayne Chrebet and Nick Markakis I'd count as white and all have similar features. But I agree. He could go either way on a site like this. In real life, he'd be easy to categorize for the media: If he was elected as a Democrat senator or was a brilliant scholar the Kosher media would portray him as non-white; if he shot a Trayvon Martin type or robbed a string of 7/11's he'd be widely seen as a "Caucasian". Hahaha that’s right but in case number 2 I’d agree with the media. If James ever “Zimmerman’d” a future Rhodes Scholar like St Skittles, I wouldn’t care if he was half non-White, he’d get into the ethnostate if I was in charge. No questions asked. Previous posts about O'Shaughnessy indicated that he was actually mulatto, probably quadroon or octoroon. Therefore, I'll continue to count him as non-white. I always find these to be interesting discussions. When I look at a player, I don't ask "mulatto? quadroon?, octaroon?". I ask what do DWFs, coaches, scouts, etc. see them as? If they are seen as non-white, then for purposes of the caste system, they are. Did they receive preferential treatment in recruiting because of their mixed heritage? Did they get drafted abnormally high because of perceived "upside"? The answer isn't with us and what we think, it's with how they are looked at by the minds that we are trying to reach. LB Nick De Luca has been promoted from the PS to the active roster, hopefully he sees the field this week! Cody Kessler got some playing time, replacing Blake Bortles. He played decently. Kessler is an underrated player who's not as bad as the mainstream media makes him out to be. 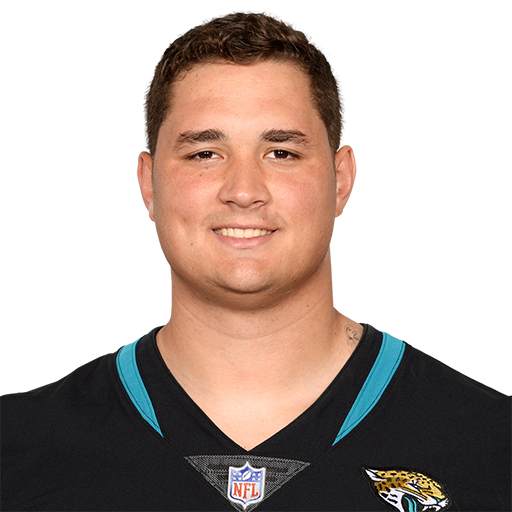 If he is given starts with Jacksonville he may surprise. I read somewhere that Bortles has been benched.